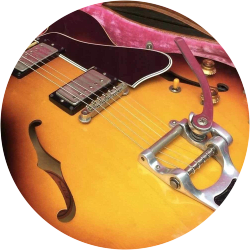 Here at Reverb, our resident gear experts are always on the prowl for the latest and greatest listings to file into our handpicked collections. 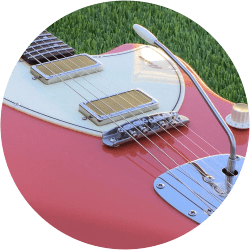 From awesome deals on lesser-known vintage guitars to collections to help kick off your next recording project, you’ll find all sorts of curated experiences here. Not sure where to start? Click the button below to land on a random collection from our ever-growing list. When sellers drop prices on gear, their listings end up on this page. Reverb price drops offer some of the best deals on used, vintage and new music gear online. 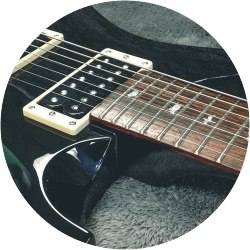 Our team of experts are constantly combing the site to find the best buys on gear, and this page is where all the hottest listings end up. 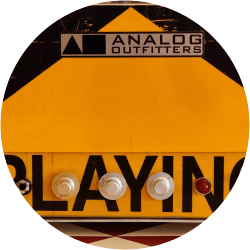 Our team of experts are always adding new releases to this collection, so keep an eye on this page for fresh dispatches and arrivals from the wide world of gear. Not every vintage guitar can be a pristine, all-original example destined for a collector's vault. 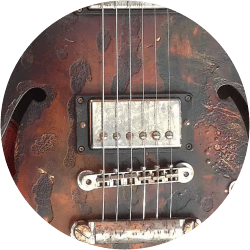 Dings, scratches, replaced parts and refinished bodies all lower the price on these vintage guitars and basses, making them fantastic deals for musicians who want a classic instrument to play. 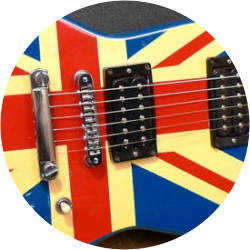 Many players spend years swapping parts and installing upgrades on their Fender-style guitars. 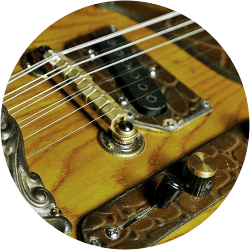 Whether it be putting in some high-end tuners, boutique pickups, or just throwing on a whammy bar, it can be hard to ignore the allure of tinkering with your guitar. 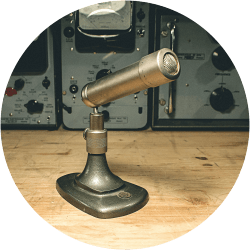 Put some inexpensive vibe in your studio with these funky vintage dynamic microphones from Telefunken, AKG, Sennheiser, Shure, Electro-Voice and more under-the-radar brands. 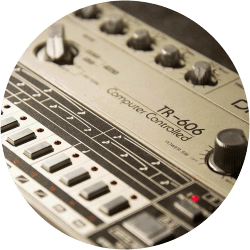 From the warm depth of a pure analog kick to the crisp grit of a vinyl sampled snare, there's a certain inimitable magic to vintage drum machines that digital models and static copies can never quite capture. 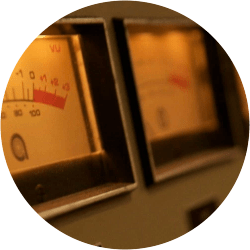 Have a look through Reverb's handpicked collection of the best-of-the-best in new, used and vintage mastering studio gear, from surgical equalizers and behemoth tube compressors to the finest converters and analog recorders. 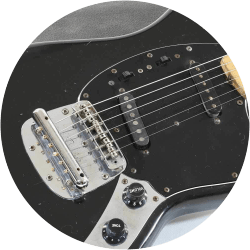 Here you'll find Reverb's massive selection of all things MIJ and CIJ Fender, instruments of superb quality and unique flair that arguably saved this iconic brand. 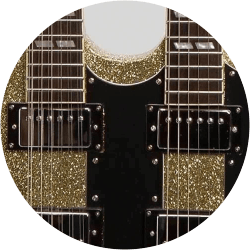 In this handpicked collection of guitars, you'll find everything from shiny mirror tops to sparkling pearloids, graphic overlays to hand-carved pieces of functional outsider art. 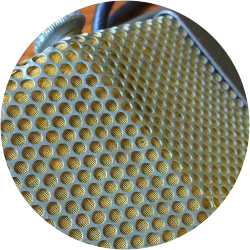 Whether they're using the "Big 5" vintage mics or any number of modern day titans, professional engineers and producers have always leveraged serious studio-quality microphones to encapsulate the emotion of a lead vocal, the size of a drum kit, or the searing blare of a horn to pull the listener in and define the sound of a record. 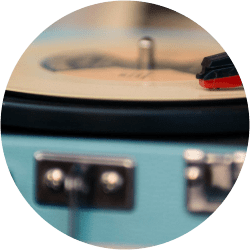 Our Hi-Fi Heyday collection features a choice assortment of the finest tube amps, discrete receivers, time-tested turntables, and vintage speakers to bring out the best in your music collection. Go ahead, turn it up! 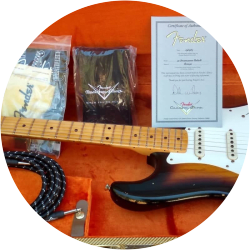 These artisan-built Strats have been coming out of the Custom Shop in Corona, CA since 1987 in an astonishing number of configurations, limited editions and one-offs, from exacting vintage reissues and eye-popping relics to "Masterbuilt" creations and artist models. Meaning "to parch" or "to roast," torrefaction adds an additional visit to the kiln, bringing the atmospheric moisture and oxygen to virtual zero to remove sap and water and close cells in the wood. 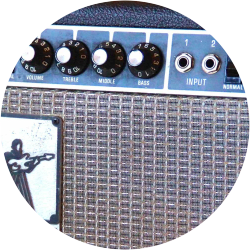 Reverb is proud to count an extremely diverse set of DIY builders and innovators among our community of sellers. 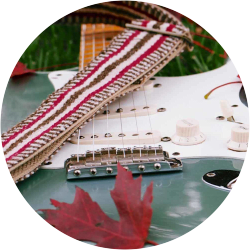 From next-generation guitar effects and homemade guitar straps to traditional instruments from around the world, if someone uses it to make music, you can find a handmade example here. 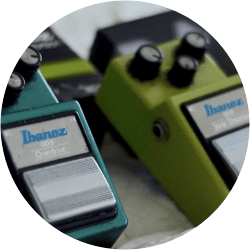 Unlike classic overdrives and distortion effects, transparent overdrives emphasize the natural tone of your guitar and amp, simply enhancing what's there instead of cloaking the sound in a layer of noise and coloration. There's good reason why the stompboxes that came out of Japan in the '70s and '80s are so widely imitated and revered. 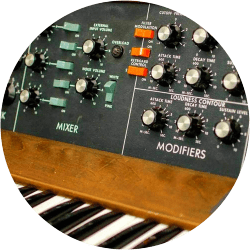 From the Boss DM-2 and CE-1 to the Ibanez AD9, these were the sound of a generation that boldly explored new analog and digital sonic territory while refining the rough effects of the '60s. The popularity of dark, atmospheric, Turkish-style cymbals implementing B20 alloy and traditional hammering is at a fever pitch. 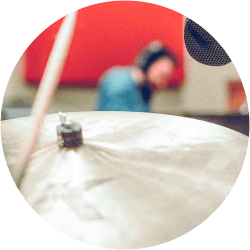 This handpicked set brings you the best of vintage sounds from Zildjian and Sabian down to the exploding boutique cymbal scene. 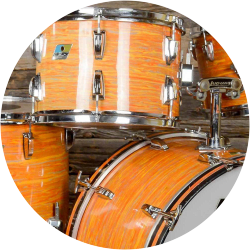 Whether all-original or well-loved with a missing muffler or mount, these vintage kits carry all the thump and stomp that they did for the masters, and continue to inspire modern players and current drum manufacturers to find that vintage rumble in the rims. 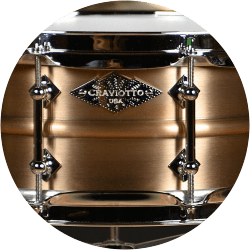 Our Showpiece Snare curation brings the finest plies, peerless metals and one-of-a-kind finishes from companies like C&C, DW, Dunnett and Craviotto together in one place. From a stage to a display case, these snares will never fail to impress. 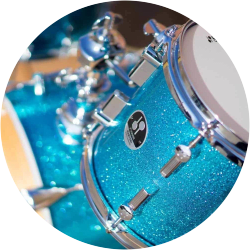 Player grade vintage drums are the ultimate marriage of old-school tone with day-to-day playability. 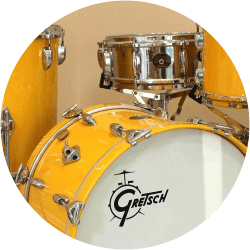 Extra holes, dings, refinished shells and aftermarket parts make these drums great deals for gigging drummers. These are handpicked gems from Canadian sellers, with no complications of long-distance shipping. Maybe you're looking for a rare piece that can only be found overseas - but there is a world of amazing gear at your doorstep, too. 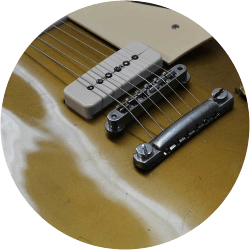 In the '60s and '70s, budget-minded brands like Harmony, Kay, Teisco, Supro, and Univox carved out a unique sound and style that stood in contrast to your every day Strats and Les Pauls. 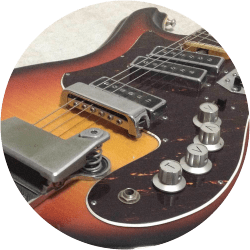 Today these unique instrument go for far more reasonable prices than some of their more iconic counterparts, but still pack plenty of vintage mojo. These are hand picked gems from local sellers in the UK, with no complications of long-distance shipping. Maybe you're looking for a rare piece that can only be found overseas - but there is a world of amazing gear at your doorstep, too. These are hand picked gems from local Australian sellers, with no complications of long distance shipping. Maybe you're looking for a rare piece that can only be found overseas - but there is a world of amazing gear at your doorstep, too. 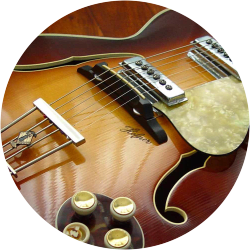 These handpicked guitars represent the very highest-end when it comes to collector-grade, vintage instruments. 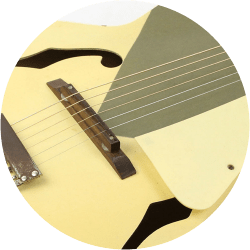 Take a look at these stunning, investment-level guitars and basses from the golden eras of Fender, Gibson, Gretsch, Martin, Rickenbacker and more. If you want to see an instrument or some gear you've never seen before, browse the rarest of the rare, handpicked by Reverb staff. 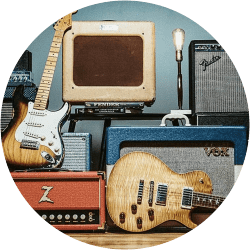 Once-in-a-lifetime finds, rare items to complete a collection, gear owned by your favorite musicians, and more can be found in this daily curated set. The pickups are hots, the necks are fast and the looks are mean in this set chock full of classic models from Ibanez, ESP, Kramer, Jackson, Schecter and more. The only thing you'll be spending lots of with these guitars is time practicing with the volume turned up. 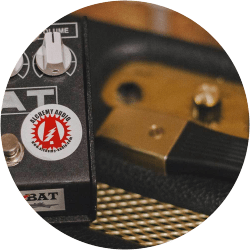 Looking for an amp that won't break the bank, but will give you plenty of power for band practice and small gigs? 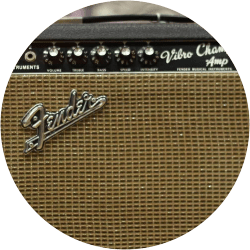 We've handpicked all of our favorite stage-ready amps on the site and assembled them here. 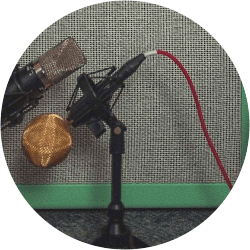 From microphones and interfaces to monitors and mixers, our handpicked bedroom recording collection has all of the essentials for making your homemade masterpiece. 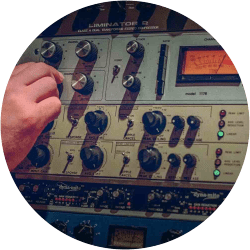 Big, heavy tube and transformer-coupled Fairchild 670s, original LA-2As, Pultec equalizers, Neumann M 49s, and even contemporary tube offerings are still used in studios today in spite of more solid state counterparts and digital plugins coming to market. 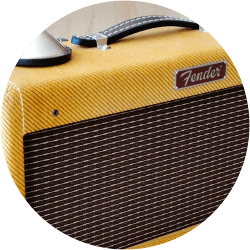 When you're looking for bang for your buck in the amp category, look no further than these workhorses. 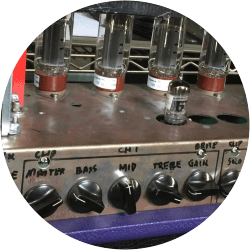 The Russian-made Sovtek Mig 50, vintage Traynor YBA-1, Music Man RD Sixty Five, and many more collected here are the unsung heros of the vintage amp world. 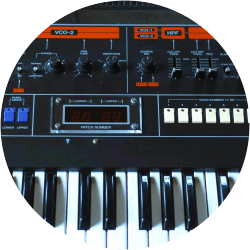 This collection of vintage synthesizers from American builders like ARP, Oberheim and Dave Smith's Sequential Circuits, and Japanese companies like Roland, Yamaha and Korg, represents a unique legacy in 20th century music that combines technical innovation, aesthetic appeal and musical power. 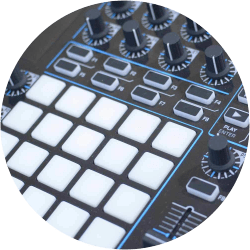 Featuring gear from Arturia, Native Instruments, Akai and more, we've selected the best deals on our favorite gear for making hip hop beats, composing film scores or writing the next EDM hit. 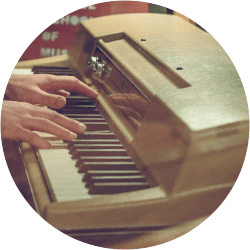 From legendary electric pianos like the Rhodes to the fattest analog synths and the quirkiest keyboards of the digital era, our Iconic Keyboards section hosts some of the most important machines ever to grace the stage and studio. 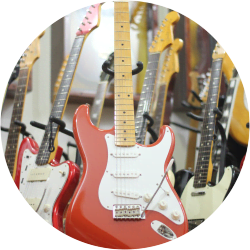 The Japanese guitar industry in the '60s and '70s followed an interesting trajectory. At first, Japanese factories were tasked with building cheap emulations of American designs. As time went on, their output grew more unique and bizarre due to a particular Japanese artistic flair combined with an impulse to out-do mainstream American guitars they were emulating. 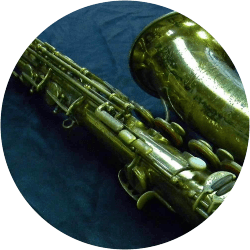 This handpicked collection of vintage Selmer horns offers up Reverb's best of the best in pristine Mark VI altos, re-lacquered Super Balanced Action baris, and everything in between. This handpicked collection of vintage and retro-inspired straps from Levy's, Souldier, Ace and more shines a light on the stylistic allure of hip patterns and colorful graphics of yesteryear. 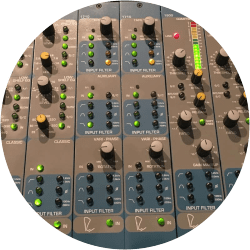 Reverb was arguably the first "special effect" for instruments and vocalists, originally pulled off with large, purpose-built chambers underneath classic recording studios like Capitol Studios and Abbey Road. 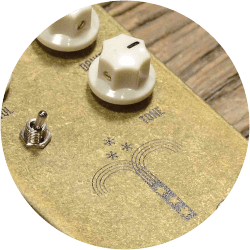 Peruse this handpicked collection new, used and vintage analog reverb units and add some classic vibe to your sound. 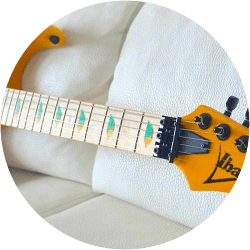 From the country licks of Joe Maphis to the power pop of Rick Nielsen, there are multi-necked instruments of every sort and you can find them all right here on Reverb. 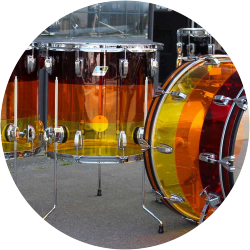 Acrylic drums deliver a combination of immense resonance and see-through cool looks, which has made them a favorite of decades of drummers who want to be heard (and seen). 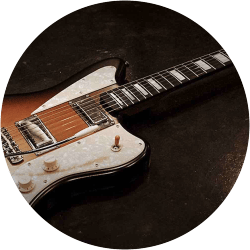 For years, these guitars floated under the vintage collector radar, and were seen as junior novelties more than serious instruments. 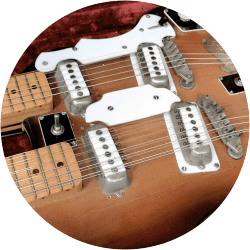 More recently, however, interest has been on the rise due to the high prices of more mainstream Fenders, and the undeniable retro charm these guitars deliver. 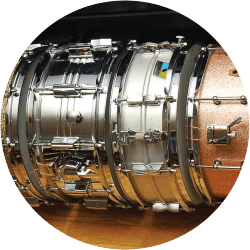 Whether you're reinventing your sound or are feeling the pain from schlepping that big bass drum, portable drum kits like the Ludwig Breakbeats, Sonor Martini, and DW Frequent Flyer offer a fun-size footprint with full-size presence- from street busking to cocktail bars to subway car jams. Today, these classic beasts can be had on the used market for pennies on the dollar and new studios are being built around old-world technology. Shop this handpicked collection of classic control room gear and find the best deals for your studio. 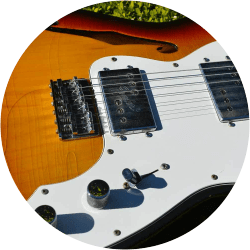 The 7-string guitar has become an essential tool for modern shredders. Whether you’re playing deathcore, metalcore, djent, prog, or anything in between, these entry and mid-level guitars from Schecter, Agile, ESP, Ibanez and more are perfect for those testing the 7-string waters or gigging musicians looking for a road-ready workhorse. 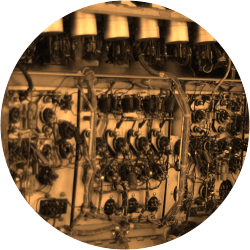 Not every recording engineer of yesteryear had the luxury of recording in a real echo chamber, so the clever ones decided to use the magnetic tape they were already recording with to create a similar effect. The best units were prized for their versatility and unique echo types. While vintage guitars tend to hold a reputation as the best ever made, there are more high-end boutique makers turning out truly magnificent instruments than ever before. 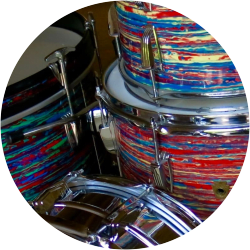 From big band marine pearl to '60s psychedelic swirl, oyster wrap finishes have defined artists' styles for years. Whether you're looking for something refined, something bold, or just something new, this set makes your search a wrap. 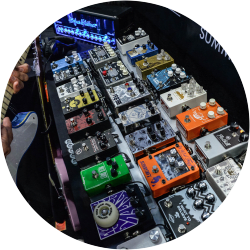 Pedal modifications can unlock the hidden potential of classic and new effects and have given birth to an entire basement industry of pedal modding. 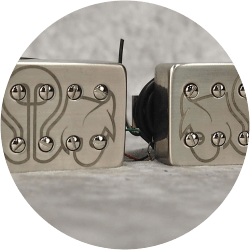 If you like your pedals to be covered in extra knobs and switches or engineered with new circuit designs and parts, take a look at these unique modded stompboxes to see some tricked-out creativity at work. 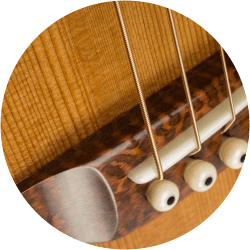 Recent years have brought a new crop of incredible acoustic guitars from luthiers at the height of their craft. 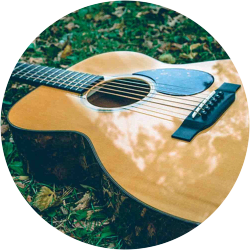 Makers like Collings, Huss and Dalton, Bourgeois and Santa Cruz are just a few of the brands capturing the very best in the acoustic guitar tradition with each amazing specimen. 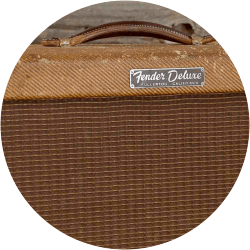 From the earliest Princeton Tweed, to the much-copied 5E3 Fender Deluxe, Blackface Bandmaster, and Brownface Super, these amps are known for their sparkly cleans and unmistakable tube driven breakup. They fueled the early days of rock and roll with plenty of extra gas and continue to keep tone-hungry players satisfied to this day. Whether you're looking for some worn brass mojo or well-worked wood to project your snare tone, a vintage snare can be the perfect addition to your kit. From icons like the Ludwig Black Beauty and Supraphonic to lesser known classics such as the Rogers Dynasonic and Slingerland Sound King, this set has plenty of aged kit candy. The 500 series is the fastest growing format in pro audio gear. 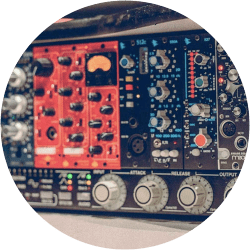 Whether you want to craft a classic vocal chain, a sophisticated guitar DI and reamping rig, a complete analog mix summing solution, or to swap between all three - with the 500 series you're only limited by your imagination. 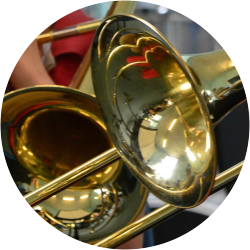 Whether you're gearing up for your first day of middle school orchestra or getting ready for the high school jazz ensemble, these band and orchestra selections at student friendly prices will help you find an instrument you can grow and succeed with for years to come. 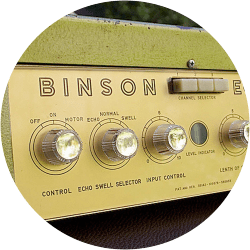 Old Bogen lunchboxes, Hammond organ electronics, RCA public address amps, Western Electric radio tuners, and countless other discarded oddities have found new life as tube-powered blues machines slightly modified for use with guitar, bass, keys, and any other electric instrument you've got kicking around. 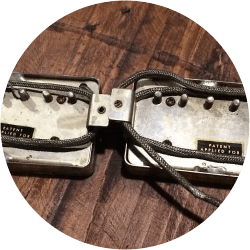 Developed by Seth Lover in 1955, the original PAF ("Patent Applied For") humbucker pickups found in Les Paul Customs and Goldtops of the late-1950s, as well as the legendary Les Paul Standard "Bursts" from 1958-1960 had a lot to do with the iconic sound of these classic guitars. If you've got an older Marshall or Orange amp without a master volume control and are chasing the super-fat sounds of the mid-'70s, or if you don't like how distortion pedals change the sound of your amp, this handpicked collection of new, used and vintage high-output pickups from DiMarzio, Seymour Duncan, EMG and more will get you where you want to be in a hurry.